Pizza is definitely my favorite food, but we all know how calorie laden and unhealthy the usual pizza is. So when I crave pizza I make myself delicious wrap pizzas using whole grain wraps as the base. 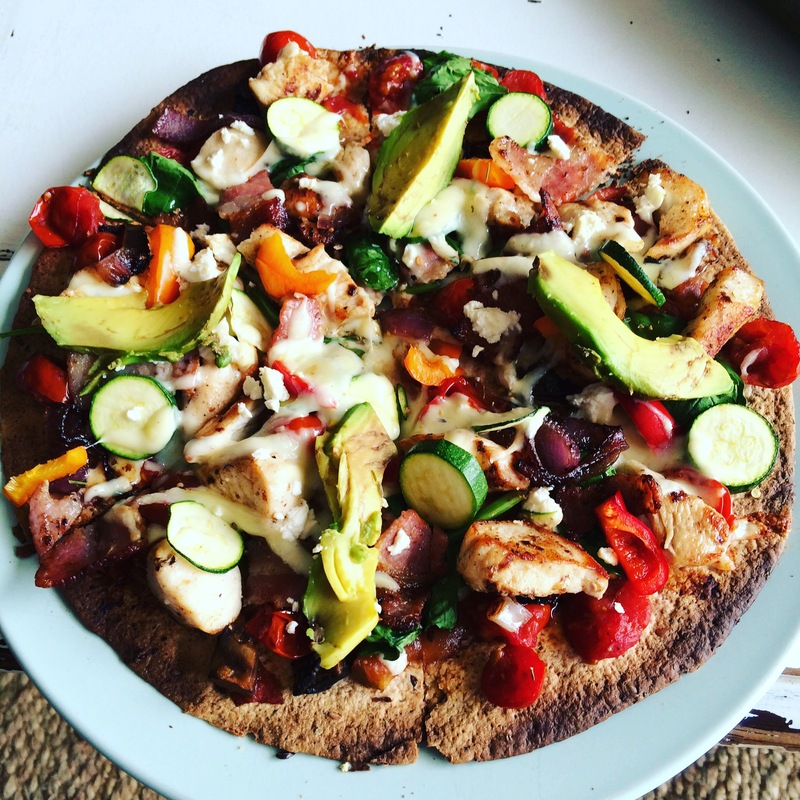 Yesterday I made one as a post workout meal and it was amazing! Perfect balance of carbs and protein to fuel the muscles! 1. Cook the wrap in the oven until browned slightly and hard. 2. I make my own tomatoe base using whole tomatoes chopped up and onions cooked in the microwave or on the stove withbalsamic vinegar. 4. Put back into the oven for about 10 minutes until toppings are cooked and the cheese is deliciously melted. Next postBe one with the assault bike!